Activate: Give a friendly creature Guard. Elixir of the Defender is a rare Willpower support card. It is part of the Core Set. 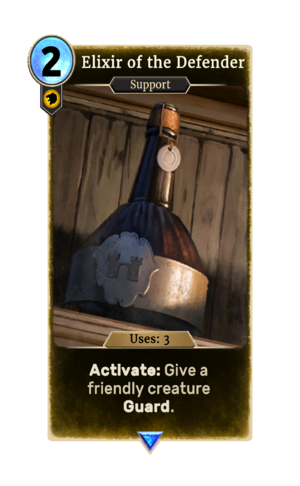 This card's activation applies the Guarding card effect. This page was last modified on 24 September 2018, at 22:42.